The last picture taken of my sister, Briana, was snapped by her husband on the morning of her death. She was wearing a black and blue dress and standing in her living room in front of a framed print of Edward Hopper’s painting New York Movie. Edward Hopper was one of her favorite painters. She loved others, too, but she had more prints of Hopper’s paintings hanging in her home than anyone else’s. In the photograph, the painting is obscured by Briana’s head, which covers the lower half of the figure of the woman usher, who is Hopper’s primary subject in the painting. The painting happens to be one of my favorite paintings, too. It involves cinema, after all. Hopper’s canvas splits the viewer’s focus. In one respect, your focus is drawn down the left side, past the backs of mostly empty theater seats and onto the screen. On the right side of the painting, the usher stands—a tall blonde woman, pensive in her countenance, her chin resting on her right hand, and her other arm supporting her right elbow, which in turn supports the weight of her head. A wall obstructs her view of the screen, not that she wants to see it. She can no doubt hear the film playing, and has most likely seen this motion picture too many times for her to count. She appears to be too preoccupied with the movie unfolding inside her head. And we are, too, as the spectators of this painting. Neither the portion of the movie screen we see, nor the backs of the heads of the audience members, are competing for our attention. We are drawn to the usher’s contemplation, her melancholy perhaps—her own disjointed imagination inside a ceremonial room that makes its bones on the imaginations of others with ticket stubs. When this last picture of my sister was taken, something strange occurred in the painting behind her: a reflection of an overexposed flash of light appeared over the usher’s face—the portion of the figure that was not obscured by my sister’s head. The source of this light is unknown; no camera flash was used. Perhaps the light in the photo is emanating from a window, but the flood of light seems too immense, and its shape—relative to the shape of the face—too exact. It wasn’t until the moment I saw this photograph, and subsequently studied the painting closer, that I realized just how much this woman looks like my sister—or, I should say, my sister looked like this woman. It was uncanny. She had the same face. In addition to that, the color of her hair, and her clothes, were the same. 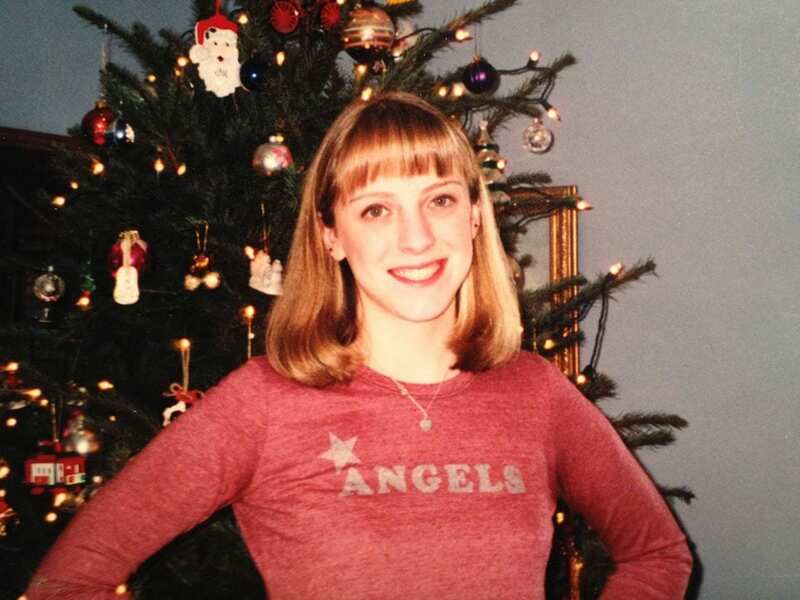 My sister wore bangs most of her life, just as this woman was wearing her hair (see below for a photo of my sister when she was a teenager). 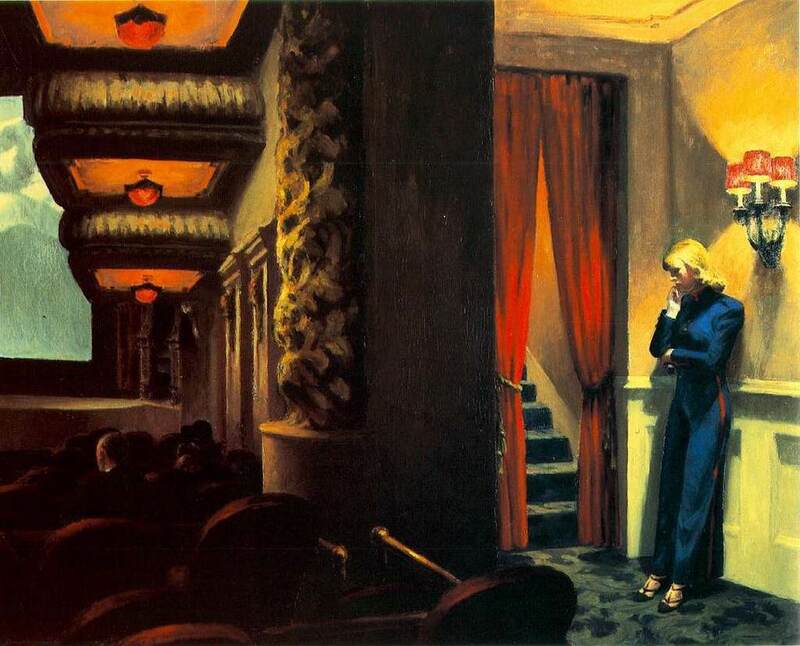 The woman in New York Movie is based on Hopper’s wife, Jo, whom he often used as a reference model. The usher’s visage was sketched as Jo stood under an illuminated lamp in the hallway of his house. Like her husband, she was a painter, but she was never publically recognized as such—at least not to the extent that her husband was. However, she did name many of his paintings, including conceiving of the famous Nighthawks title. What’s even stranger is that the woman in the painting, while based on Jo, looks less like her, and more like my sister. The shape of the nose, the cut of the cheekbones and the posture of the figure; it is Briana. Perhaps, I’m projecting. But what I see is what I see. Has my perception been altered since her death? Am I seeing things differently than they are (or than they were)? Things as they are…are now how they were. What was once Jo Hopper before July 1st, 2014, is now my sister after July 1st, 2014, and in this new thread of time, in which I and the others around me occupy, it was always my sister in that painting, for Edward Hopper, her favorite painter, had painted her into it. Perhaps I have found that particular object that has captured her soul, and I have recognized her voice calling to me, and the spell has been broken. Perhaps she has overcome death and returned to share her life: her effect on me is eternal. Her effect on me is the light that replaces the faces of masterpieces. It is the gateway to a life of memories that will continue to unfold upon the movie theater screen in my head. 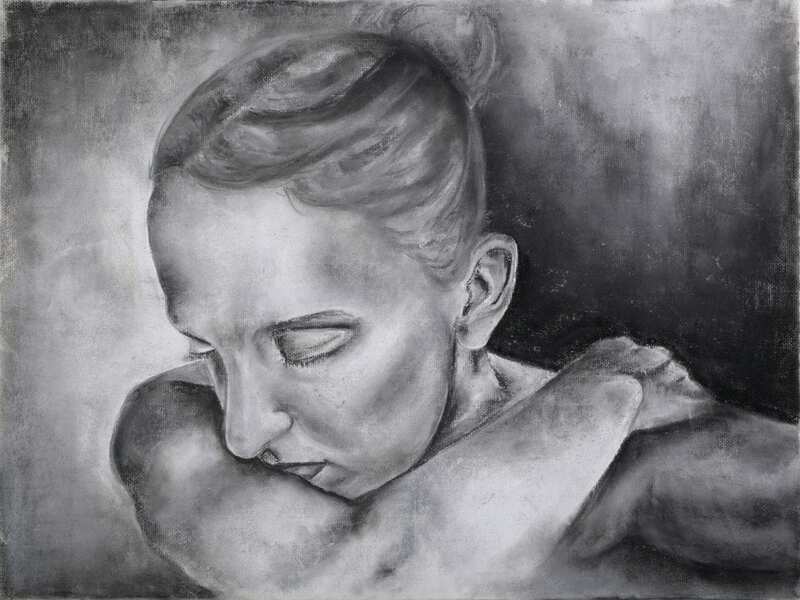 For the time being, my head is weighed down by these memories—just as the usher in the painting is weighed down by her own—but my hope is they will lift my head with happiness once again. It is on this one-year anniversary of Briana’s death that I ponder the distinction between grief and mourning. It is said that grief is what we think and feel internally, while mourning is the external expression of our grief. This seems simple, on the surface of it all. But it’s the externalization of something intrinsically personal and unique and devastating that feels impossible. It feels impossible for me, especially now; unless I think of art as that externalization. I know my sister felt that way about art—it was her way of channeling her riptide of emotions, emotions that threatened to drown her on a daily basis. Like Hopper, she was a painter, like Hopper’s wife, she went largely unrecognized. Maybe that’s why I seek to recognize her—as a means of honoring her while simultaneously expressing my grief. Hopper’s New York Movie articulates feelings that are oft impossible to verbalize. Works of art can capture the spirit, the energy, the life of a person, in a way that words cannot. When we think of definitions, we think of words, but isn’t the spirit of a person what ultimately defines a person? And doesn’t that spirit live on after death? While it’s hard for me to define the word spirit, I can say that my sister’s spirit did not die with her body; it remains alive today. I say that in neither a religious, nor secular, sense. I can feel her presence, her spirit, alive inside the brushwork of one of her favorite paintings, emanating from the figure of the female usher, like the way an unknown light source reflects off a pane of glass. I wonder if her spirit has been captured in this painting, and her essence distilled within the photograph that was taken the morning of her death. Marcel Proust might think so. I’m not sure what I think. But I know what I feel. I will not post this picture, because this picture is mine. Absolutely beautiful piece. I’m sorry your loss.